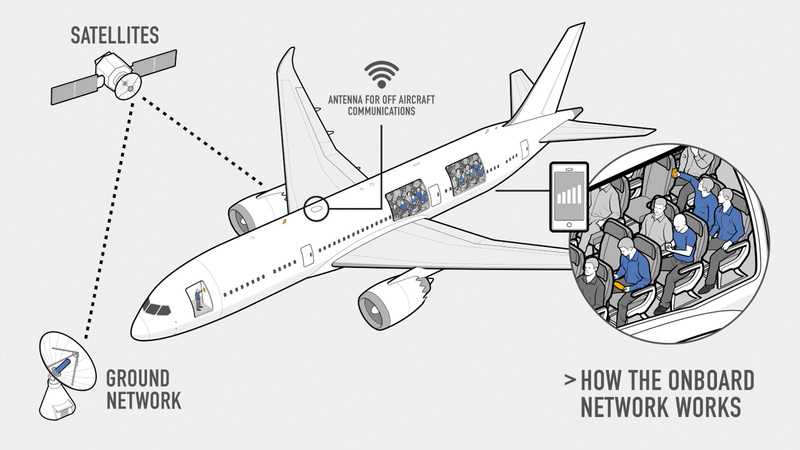 AeroMobile's Inflight Network | How Does It Work? We use satellite technology to enable passengers to use their mobile phones onboard a connected aircraft. When you take your mobile phone out of ‘Airplane Mode’ its signal is relayed from the aircraft antenna, via satellite to the AeroMobile ground network. The ground network uses your SIM card’s unique number to confirm your home mobile network provider has a roaming agreement with AeroMobile. Once confirmed you’re ready for email, browsing, texting and calls just as you would on the ground. Cabin crew can manage the mobile phone service from the same on-board control panel that operates the IFE and lighting. If you use the AeroMobile service inflight, you’ll be billed by your home operator, in the same way as roaming abroad. You must have roaming enabled and your network provider needs to have a roaming agreement with AeroMobile. The cost of using your phone is set by your home operator. Got a question or concerns about using your mobile onboard? © Copyright 2019 AeroMobile Communications Ltd.